Central to our mission of engaging the Greater Boston Jewish community in support of issues affecting workers, is our “Labor on the Bimah” program. Representatives of the New England JLC speak at synagogues in the Greater Boston area, linking Jewish texts and values with the message of Labor Day and the fight for better treatment of working men and women. We also speak about current labor issues and connect Jewish texts and history to those issues. We will give a D’var Torah or speak at a educational community event. 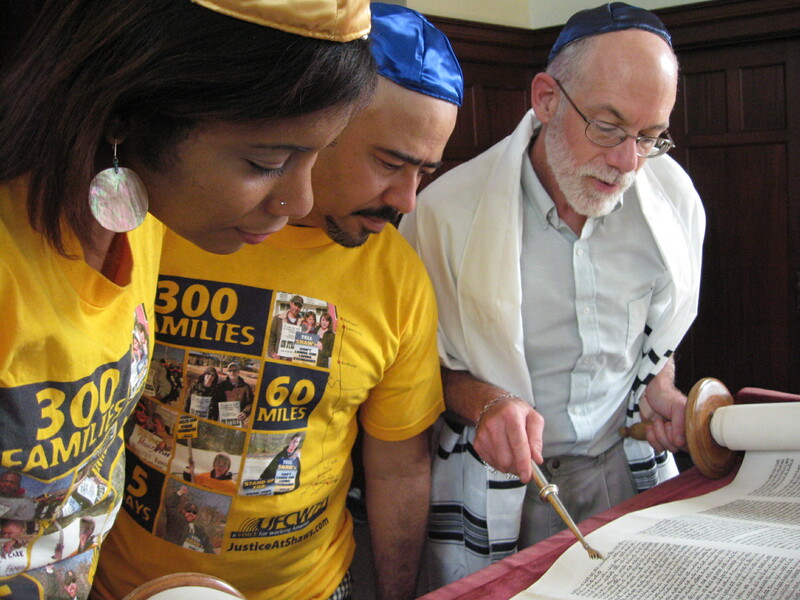 Although we often speak near the Labor Day holiday, we also are available to visit a synagogue throughout the year. If you would like someone from the New England Jewish Labor Committee to speak at your synagogue please contact us at NewEnglandJLC@jewishlabor.org or 617 227-0888.